Entomophagy is the consumption of insects as food. Entomon is the Greek word for insect, while phagein means “to eat”. The word entomophagy typically refers to human consumption of insects for food, while animals and plants that eat insects are more commonly referred to as insectivores. 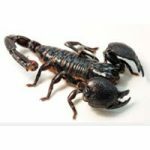 In food marketing, entomophagy is sometimes used in a broader sense, where a range of entomophagy products can include not just insect-based products but also products made from non-insect arthropods, such as arachnids (spiders, scorpions, etc) and myriapods (centipedes, millipedes, etc). However, referring to the consumption of crustacean arthropods such as crabs, lobsters and shrimps as entomophagy is exceedingly rare. It is not just adult insects (imago) that are eaten by humans; insect eggs, larvae and pupae is also eaten either raw or prepared in various fashions. Insects are eaten both for their nutrients and as condiments. 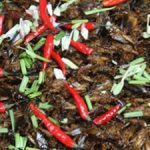 In addition to being food, insects are included in many traditional medicines around the world, and the modern health food industry is exploring the benefits of insect-eating in various ways. Insects are often high in protein, and some are also high in fat. They can be an important source of both macro and micro nutrients, and a lot of research is currently carried out with the aim of exploring insects as a food for the future. 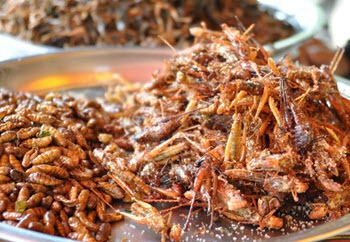 A few examples of insects that are eaten as a delicacy in various parts of the world are the larvae of the moth Omphisa fuscidentalis, the larvae of the the cheese fly Piophila casei., the imago of the giant waterbug Lethocerus indicus, the eggs of the leaf-cutter ant Atta laevigata and the pupae of the domesticated silkmoth Bombyx mori. Insects were probably a more important part of the human diet before we learned to hunt for larger prey. 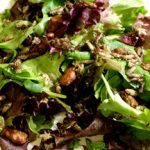 Evidence suggest entomophagy in evolutionary precursors of Homo sapiens, and most of today’s apes include insects in their diet in the wild. Cave paintings in Altamira in northern Spain depicts the collection of edible insects and wild bee nests. These paintings are dated from approximately 30,000 to 9,000 BCE. Fossilized human feces found in caves in the North American Ozark Mountains contains the remains of beetle larvae, ants, ticks, lice and mites. 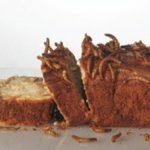 Insects are included in traditional cuisines in many parts of the world, even in Europe and North America where a lot of people today are reluctant to eat insects. 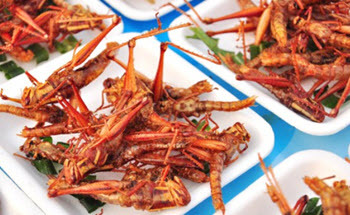 Examples of insects included in local cuisines world-wide are dragonflies, butterflies, moths, beetles, ants, termites, cicadas, bees, wasps, grasshoppers, crickets, and cockroaches. 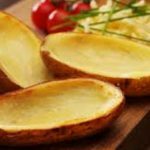 Some are rare delicacies – only eaten on special occasions. Others, such as the mopane worm of southern Africa, are an important low-cost, low-maintenance, high-protein staple. During recent years, there has been a revived international interest in entomophagy, fueled by various factors. Increased interest in traditional cuisines. 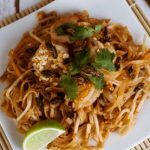 Travel, migration and international trade has made more people come in contact with the entomophagy of other cuisines than heir own. 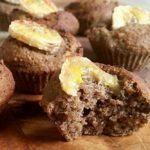 Interest in entomophagy from a health-food perspective. 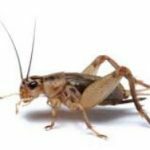 Interest in entomophagy from an environmental and sustainability perspective. Interest in entomophagy as a way to promote food security in regions market by food insecurity. The “freak factor”. 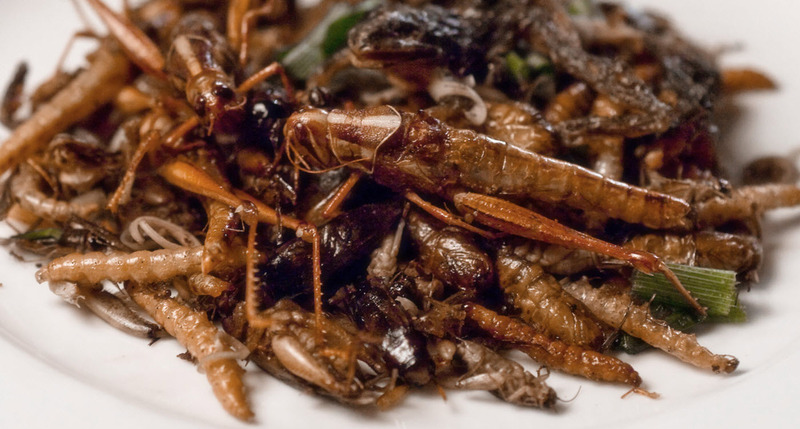 Eating insects that are taboo in ones own culture can be perceived as fun, adventurous and edgy. 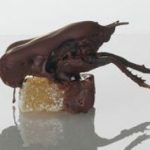 Several reality shows on TV have featured entomophagy, and there are companies selling translucent lollipops with meal-worms, crickets and other insects preserved inside. Examples of companies selling conspicuous entomophagy-products are the candy manufacturer HotLix in the USA and Europe Entomophagie in France. Most people do however still find the thought of eating insects revolting. This is strange considering that most people like other anthropods such as lobster. Matkasse.se, a Swedish website that specialize in grocery bags that are delivered to your home, performed a survey among their customers. The study showed that less than 10% of their clients would consider buying a grocery bag that might include insects. More than half of the customers that answered the survey claimed that they would consider cancelling their subscription if they received insects in a grocery bag. This illustrate how far entomophagy still has to come before it can become mainstream. The revived interest in entomophagy has helped make various edible insects available outside the zones were they are traditionally eaten. 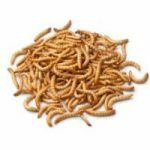 Today, snack-hungry guy in Birmingham can easily order dehydrated meal-worms online and a Korean girl can try out South American ants. 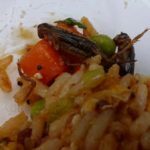 Traditional entomophagy dishes are gaining traction world-wide, and there is also a lot experimentation going on with fusion-cooking and the use of modern food techniques. 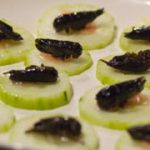 To make it easier for people interested in trying insects, a lot of ready-to-eat and ready-to-cook products have been launched. 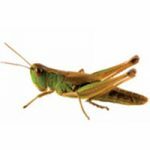 You don’t have to raise your own crickets, grasshoppers and meal-worms at home – you can just order a bag of crisp roasted ones online. 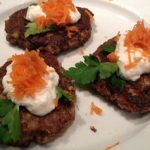 Maybe try the ones with French herbs or the spicy ones with chili and cayenne? 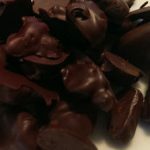 In the last decade, several entomophagy cook books have been published, most of them offering a European / North American take on entomophagy. In 2013, the cook book Délicieux ! 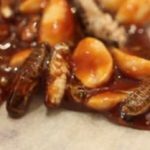 60 recettes à base d’insectes garnered a lot of attention in France, a country not commonly associated with entomophagy but where the population wont shy away from easting snails and sea urchins. 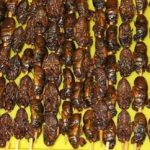 One way of dipping your toe in the wonderful world of entomophagy is of course to visit a restaurant with insects on the menu, or why not a street food vendor offering up tasty insect snacks? In Bangkok, street vendors with push-carts usually show up at Kaho San Road around six o’clock at night, serving up delicious grasshoppers, silk pupae, weevils, ant queens, bamboo borers and more. This is where traditional recipes come to mingle with influences from modern 21st century entomophagy cross-cooking. The menu will change depending on the season and what’s available on the local markets. However, one doesn’t have to search out tropical destinations to try out mouthwatering insect recipes. 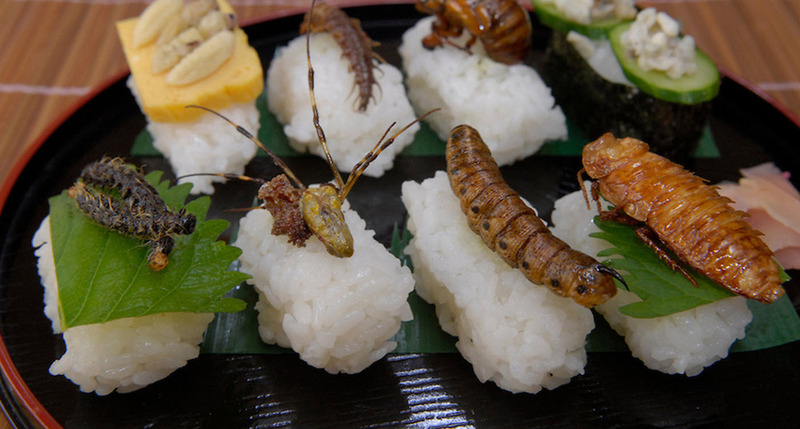 At the time of writing, at least two insect restaurants are open in snowy Vancouver, Canada. Vij’s Restaurant and Rangoli Restaurant – both owned by Indian-born Canadian chef Vikram Vij – are famous for having crickets on the menu. For the bold, Rangoli will cook up naan-style pizza sprinkled with whole roasted crickets. 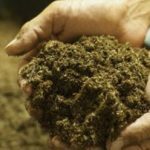 There are many insects that can be cultivated and turned into a nutritious powder. This powder can be added to food products as a way to increase their nutritional value, e.g. protein bars and pasta made with powdered crickets. 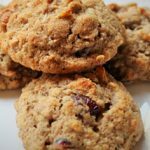 Powdered crickets are commonly marketed as cricket flour and is fairly easy to include in ordinary recipes for baked goods, granola, smoothies, etc. Examples of companies active within this field are Aspire, Insected Comestibles, Micronutris, Exo, Chapul, Tiny Farms, Bugsolutely, Jimini’s, All Things Bugs, and Entomo Farms (former Next Millennium Farms). After being launched through Kickstarter, Chapul helped promote the modern take on entomophagy to a wider audience by appearing on the ABC tv-show Shark Tank, where the company ultimately secured an investment from American businessman Mark Cuban. This site is kept alive thanks to the support of binaryoptions.co.uk. Binaryoptions.co.uk is the UK:s No1 website about binary options and the risks associated with trading these options. They can help you find a reliable broker and make sure that you avoid getting scammed.